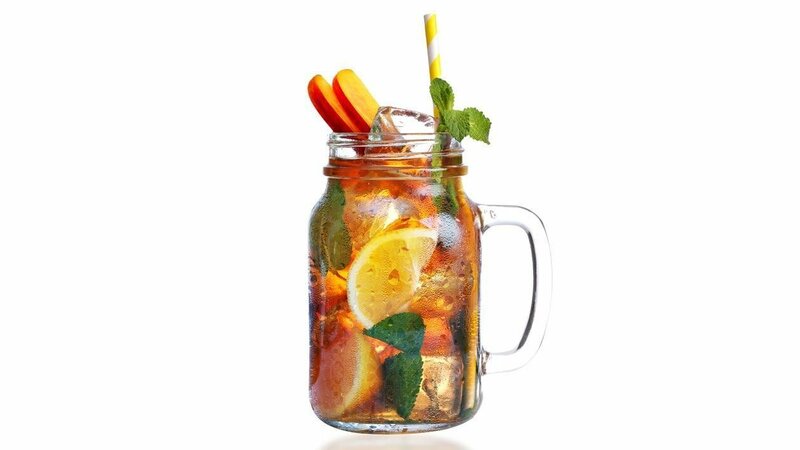 Everyone’s favorite peach iced tea, made tasting even more fresh with mint and lemon. Tip: add grated fresh peach for a chunky fresh drink. View recipe below! Garnish glass with fresh lemon slice.